One of the best features of our Author Spotlight series is when our featured authors map a novel that has inspired them. The authors’ choices say a lot about their own writing. Who would have guessed that Hugh Howey was influenced by Battlefield Earth? Or that Mark Haskell Smith was inspired to write after reading The Talented Mr. Ripley? This month we were pleased as punch that Susan Kietzman, our our R.J. Julia’s Author Spotlight for April, is mapping Olive Kitteridge by Elizabeth Strout. Winner of the Pulitzer Prize for Fiction in 2009, Olive Kitteridge follows a quirky junior high math teacher who lives in a seemingly-sleepy town on the coast of Maine. However, the town of Crosby is anything but as Olive and the large cast of supporting townspeople come to realize. The novel is one of Kietzman’s favorites, and she has great admiration for Elizabeth Strout’s writing style. “Her characters are so alive for the reader, they feel like relatives or close friends,” she says. And that makes sense. Kietzman is also known for her rich characters in The Good Life and her new novel, A Changing Marriage. While Crosby is a fictional town, Kietzman has always had the feeling that the Strout based the small town setting on Belfast, a real town on the coast near Bangor. Many of the fictional places in the novel seem similar to real places around Belfast. Check out Kietzman’s Olive Kitteridge map, help fill out the additional scenes and let us know how she did. This entry was posted in Uncategorized and tagged Battlefield Earth, Elizabeth Strout, Hugh Howey, Mark Haskell Smith, Olive Kitteridge, Placing Literature, Susan Kietzman, The Talented Mr. Ripley on March 31, 2014 by andrewbwilliams. We finally got off our duffs and launched a Twitter account. 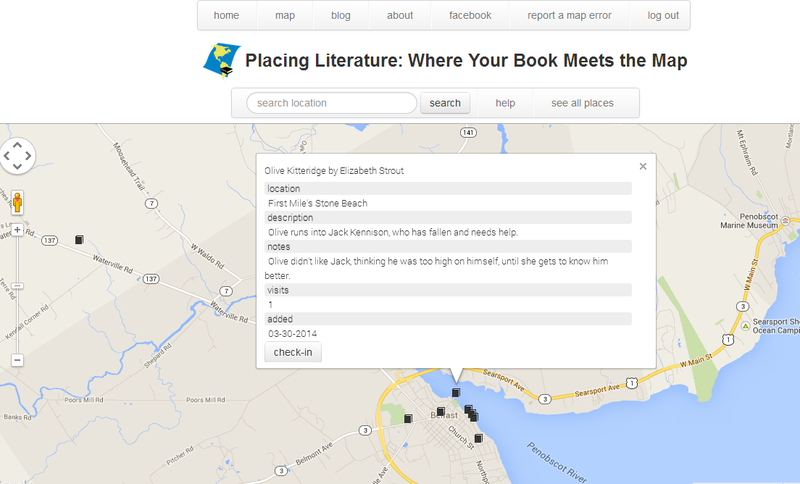 We’ll be posting regular updates on the site as well as literary places that our users continue to map. We’re also retweeting industry news and updates from our followers. 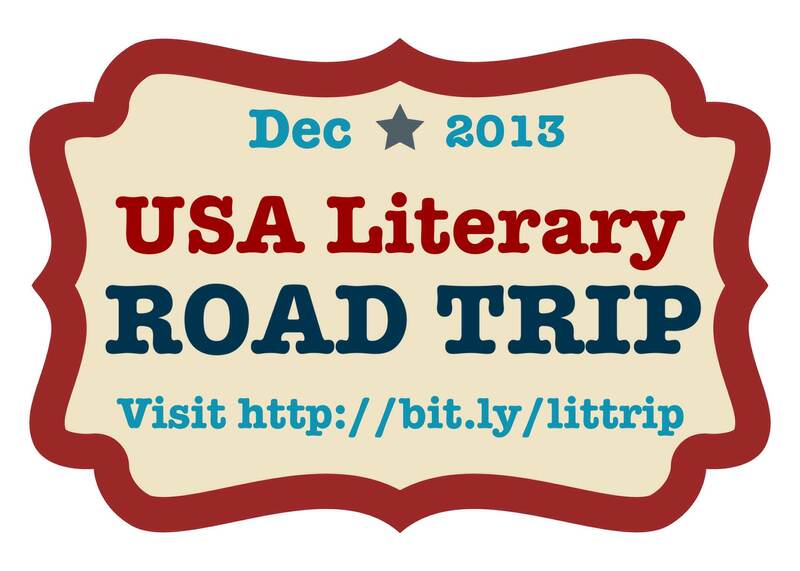 Start following us today and start using #literaryroadtrip. This entry was posted in Uncategorized and tagged Twitter on March 10, 2014 by andrewbwilliams. Placing Literature is happy to announce that R.J. Julia Booksellers is sponsoring our monthly Author Spotlight series. While IndieReader will continue to sponsor an independently-published author, R.J. Julia’s will sponsor a traditionally-published author. We’ll discuss the partnership and what it means for our users in a separate post in the coming weeks. Susan Kietzman is our R.J. Julia Booksellers Author Spotlight for March. Kietzman launched A Changing Marriage last week, following her successful debut novel, The Good Life. While The Good Life focused on the relationship between children and their aging parents, A Changing Marriage follows newlyweds as they embark on their new life together. A Connecticut native, Kietzman uses many of the places near her home as inspiration for the places in her novel—whether it’s a playground in Mystic Seaport near where her children buy penny candy or the fictional State University based on the very real Connecticut College in New London. Follow Kietzman throughout March on Placingliterature.com and her Facebook page. This entry was posted in Uncategorized and tagged Author Spotlight series, geography, literature, Placing Literature, R.J. Julia, R.J. Julia Booksellers, Susan Kietzman on March 3, 2014 by andrewbwilliams. Russell Blake has been called a lot of things. He’s been described as everything from a first-rate thriller writer to everything that’s wrong with indie publishing. His work has even been called “Jason Statham movies on the page” by a Chicago newspaper–which I can’t tell if it’s an insult or not. But if there’s really only one way to describe our IndieReader Author Spotlight for March: Russell Blake is proficient. Since retiring from his job as a home developer and moving to a beach in Mexico, Blake has self-published 25 novels in 30 months. I can’t imagine reading 25 novels in 30 months, much less writing that many. It took me seven years to write my first novel, and I’m three years into my second. But Russell Blake obviously fills a niche. You don’t sell 435,000 books and have a huge fan base that anxiously waits for your next release without producing quality work. Simply put, Blake has found an audience and gives them what they want. And what they want is action-packed literary thrillers that take readers around the world–to faraway places–where compelling characters act and talk like they’re straight out of Hollywood. Blake will be mapping the places in his best-selling JET series–a six-book international thriller series that follows a former secret agent who had to fake her own death. Jet goes on missions around the world, and I’m excited to see Blake fill out some of the more sparse regions of our map—from the Caribbean to the Central Caucasus. Follow Blake throughout March on Placingliterature.com and his blog. This entry was posted in Uncategorized and tagged geography, Jason Statham movies, literature, Placing Literature, Russell Blake on March 2, 2014 by andrewbwilliams. The Challenge: Bestselling author Terri Giuliano Long sought to combine the freedom of self-publishing while leveraging the necessary marketing resources to get her work in front of new readers. The Solution: Long created a virtual literary road trip with Placing Literature, a crowd-sourced website that maps literary scenes that take place in real locations. She tweeted new locations to her fans and followers several times a day throughout December 2013. The Results: The author’s blog saw a 25 percent increase in traffic, and her last 50 #LittripUSA tweets had 100,000 impressions—all while achieving a month-long engagement with readers around the world. Terri Giuliano Long’s self-published debut novel, In Leah’s Wake, won several awards and has sold more than 125,000 copies worldwide, reaching # 50 (overall) on Amazon and #6 on the Barnes & Noble bestseller list—an amazing and well-deserved achievement for an independently-published author. Despite this commercial success Long has decided to remain independent, relishing the freedom that self-publishing provides her. For her next novel, Until I Come Home, Long needed to build upon the success of In Leah’s Wake. While Long has a built-in advantage due to her large existing fan base, the success of her new novel relies on both the ability of her work to connect with readers and all the promotional sweat she can muster to get her novel in front of new readers. However, as an indie author, Long doesn’t have the luxury of large advance orders from retail booksellers or the marketing muscle of Madison Avenue. In Long’s case, this includes paying a publicity agency out of her own pocket and doing a lot of the work herself—in addition to a busy writing schedule. “I needed to find a way where I could maintain the independence that self-publishing provides me while leveraging the necessary marketing resources to get my work in front of new readers,” Long said. Strapped for time and resources, Long and her agency used Placing Literature, a crowd-sourced website that maps literary scenes that take place in real locations, to build a literary road trip across the U.S. First, Long mapped the scenes that took place in her novels on Placing Literature and, over the course of December 2013, showcased a literary place that meant something to her as a reader and as an author. In addition to talking about the places on her blog, Long tweeted each post to her followers and invited them to submit their own favorite literary places—effectively engaging each potential new fan in 140-character increments. By leveraging place through Placing Literature, Long was able to approach readers who live near a particular location and may be inspired to explore literature that takes place in their neighborhood. She was also able to reach fans of other established authors who may already have a connection to a particular book or place. 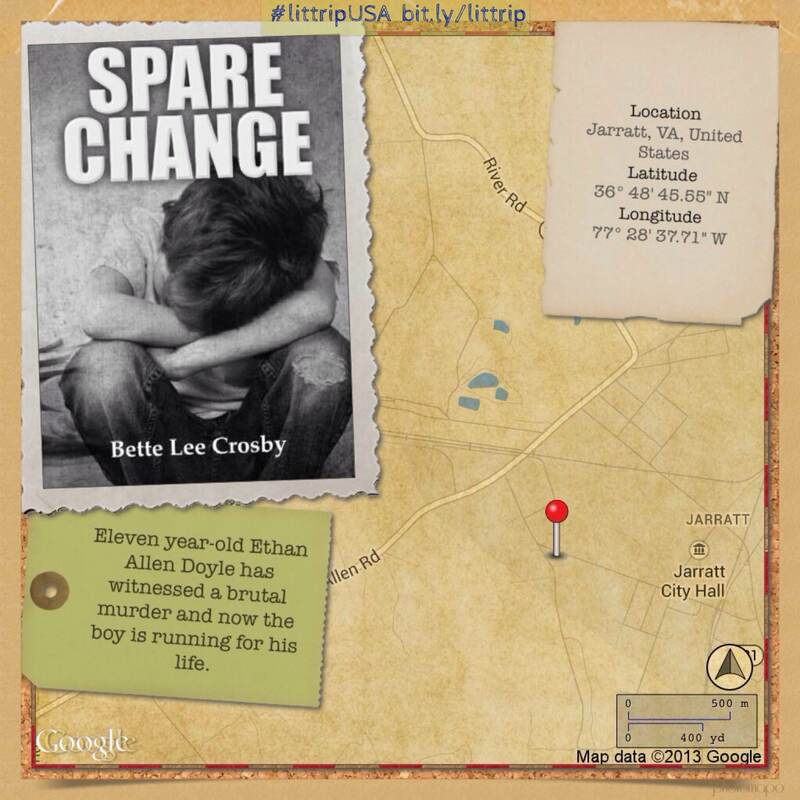 And everything was being communicated over social media, allowing her to connect with readers on a local level. By the end of the month, Long’s blog traffic was up 25 percent and her last 50 #LittripUSA tweets reached 100,000 impressions. Most importantly, however, Long was able to use Placing Literature to achieve a month-long engagement with her fans while giving them a reason to spread her messages to their friends and followers. The Twitter campaign was such a success that Long extended the trip indefinitely, expanding across the U.S. and the world. 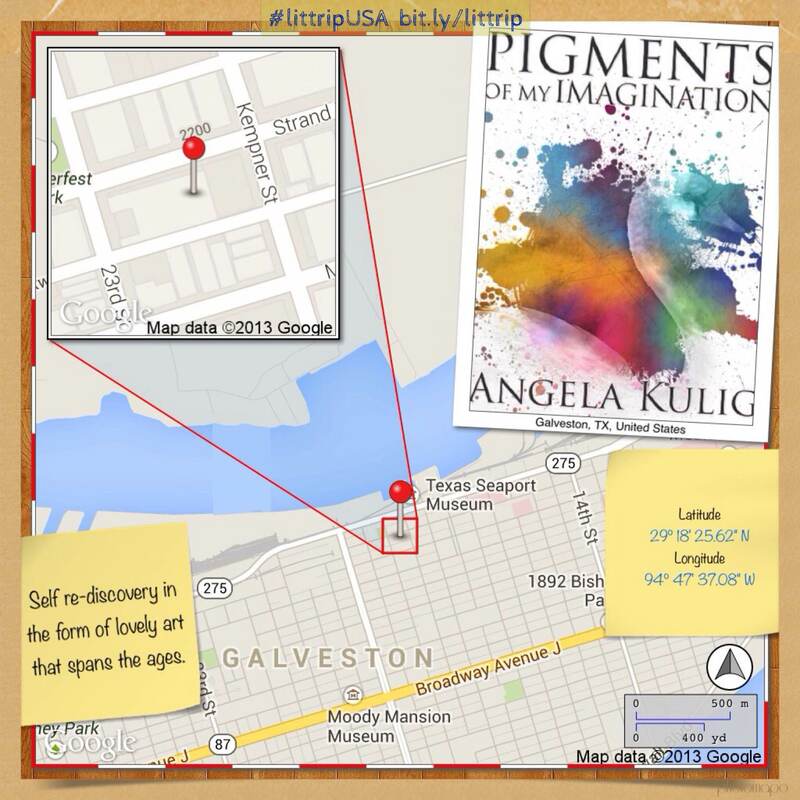 Follow Terri Giuliano Long’s literary road trip on her blog. This entry was posted in Uncategorized and tagged Book Marketing, Book Promotion, literature, marketing resources, Placing Literature, self-publishing, Terri Giuliano Long on March 2, 2014 by andrewbwilliams.